Colleges and Universities across the United States have experienced an unprecedented growth in the demand for online course instruction in the recent years. With the large increase in the number of students participating in courses in the online format, there is a lack of research or empirical data that examines both the overall effectiveness and the quality of instruction. 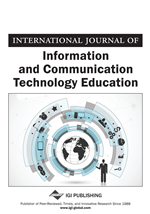 This study was designed to examine three major components of online instruction: 1) Course Management Systems (CMS), 2) Instructor training and support and, 3) The evaluation of online courses. Thirty institutions of higher education in the tri-state area of Pennsylvania, Ohio, and West Virginia participated in the research. The study was a Mixed-Methods approach with both quantitative and qualitative data gathered and analyzed. The methodology and results examined the process of selecting an institutional CMS, the training practices for online instructors, and the evaluation of online courses from an administrative and student perspective.